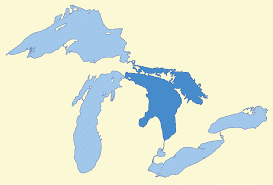 So, just how big is Lake Huron? With a surface elevation above sea level of 577 feet and an average depth of 195 feet (32 fathoms 3 feet), our wonderful Lake Huron is the 2nd largest Great Lake, with 23,007 square miles of surface area, (9,103 of which is Michigan territory). 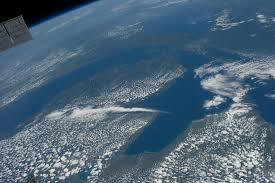 It’s the 4th largest freshwater lake on the planet, topping off at 850 cubic miles of water. The Lake has 3,827 miles of shore, with a greatest length of 206 miles, and a largest breadth of 183. Then, just where is this lake? The southwestern portion of the lake is called Saginaw Bay, while to the north is the North Channel and Georgian Bay. The lake’s primary source is the St. Marys River, the predominant outflow is to the St. Clair River. Huron connects to Lake Erie to the south via the St. Clair River, Lake St. Clair and the Detroit River; the Lake accesses Lake Michigan to the west by way of the Straits of Mackinac; and to Lake Superior to the northwest through the St. Marys River. One of the most well-known occurred on November 9, 1913. Ten ships sank with twice that many driven onto the shore. The 15-hour storm resulted in more than 230 deaths. 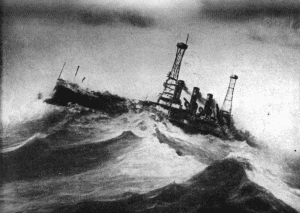 There have been more than 1100 shipwrecks documented on Lake Huron. 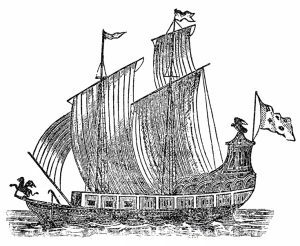 Probably the Le Griffon, considered the very first vessel made by European colonists to sail any of the Great Lakes. The ship was constructed in 1679 near what is now Buffalo, New York, then a British colony. Sailing to the Door Peninsula on the eastern side of Lake Michigan, the Le Griffon was loaded with beaver pelts (a most valuable commodity at the time), on Washington Island, and set off for the return trip to the Buffalo area. The ship was never seen again. Has the wreck been discovered? Yes, twice! Neither claim has been validated, but a wreck in Mississagi Straits and another on Russell Island are both claimed by supporters to be the Le Griffon. Get the latest news and information from Huron County Parks, including information about special events, promotions, and other updates from the park.